Please take our quick and easy survey. 1) What type of event did you attend? 2) How would you rate the overall appearance of the Stafford Centre? 3) How would you rate the staff at the Stafford Centre? 4) How would you rate the parking and ingress/egress at Stafford Centre? 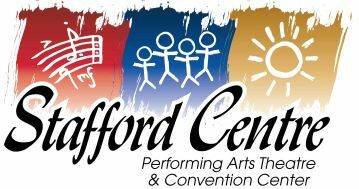 5) If you purchased tickets through the Stafford Centre box office or staffordcentre.com (not a secondary ticket seller), how would you rate that experience? 6) Please rate your overall experience at Stafford Centre. 7) Do you have any additional comments or suggestions?